Canada's government needs to hear from its constituents, loud and clear, and from people all over the world, that this massacre must end, once and for all. 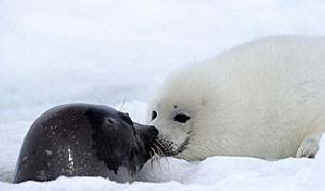 Seal pups have been born on the ice floes in the Gulf of St. Lawrence and the Atlantic waters off Newfoundland. These beautiful, playful animals look at their new world with wonder, through their big, black eyes. Little do they know that some Canadian fishermen are gearing up to take their boats out to these floes to club and shoot them over the next several weeks. Please join a demonstration OR organize one in your area. Please join us at the Namibian Mission in NYC and help us let the Namibian gov't know the seals have a voice. Join Friends of Animals United (FAUN) on Friday, March 20, 2015, as we enlighten the public about the seal slaughter in Namibia. 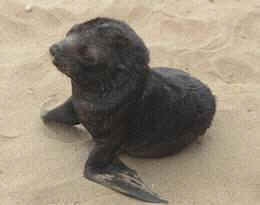 Nursing seal pups are beaten and stabbed in their breeding colonies for over 4 months every year. Adult bulls are shot for their genitalia, which are used as ineffective love potions in parts of Asia. 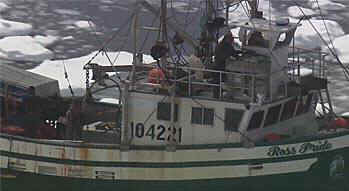 Sealers like these will kill defenseless harp seal pups in the coming weeks in Canada. If you are Canadian, please begin contacting your MP's and candidates for office this spring to let them know that your vote will depend on their stance on the seal 'hunt'.